Sicilia is the biggest island of the Mediterranean. The Northern part of the island is a continuation of Apennine Mountain chain. Wine production is concentrated on the western part of Silicia. The island is composed of 60% hill, 25% mountain and 15% flatland and the weather is very hot and windy. There is a great variety of soil, climate and land. The West has red soil (oxidized with iron); the South has clay; the East has limestone. In total, there are 111.2 hectares planted. 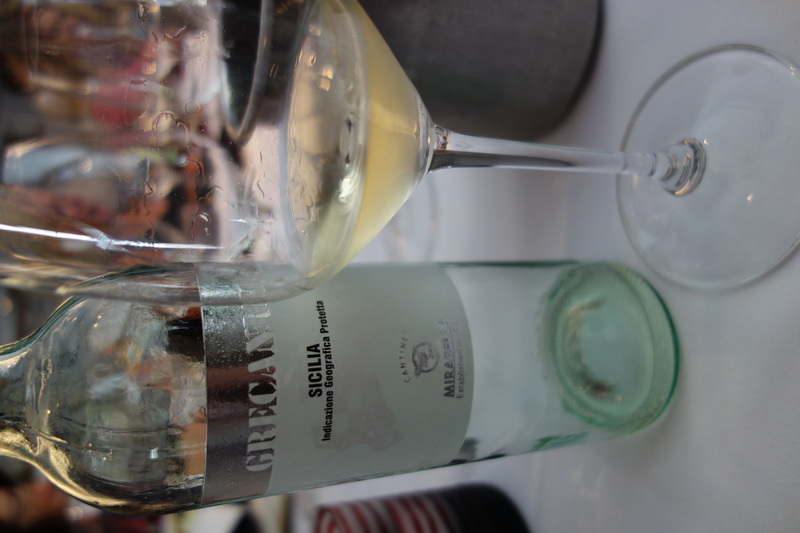 Silicia is a heritage of different cultures that have influenced the wine production in the area. 1500 BC, the Phoenicians brought grapes and began winemaking; 800 BC, the Greeks (enotria or land of wine) brought vine training systems (ie. Goblet system); 200 BC, the Romans perfected and continued the wine making tradition; 600 AD, the Arabs colonized Sicily and brought Moscato grapes to produce raisins to eat. Over the last 10 years, there has been a decrease in production of wines in Sicilia and an increase in the quality of the wines produced. 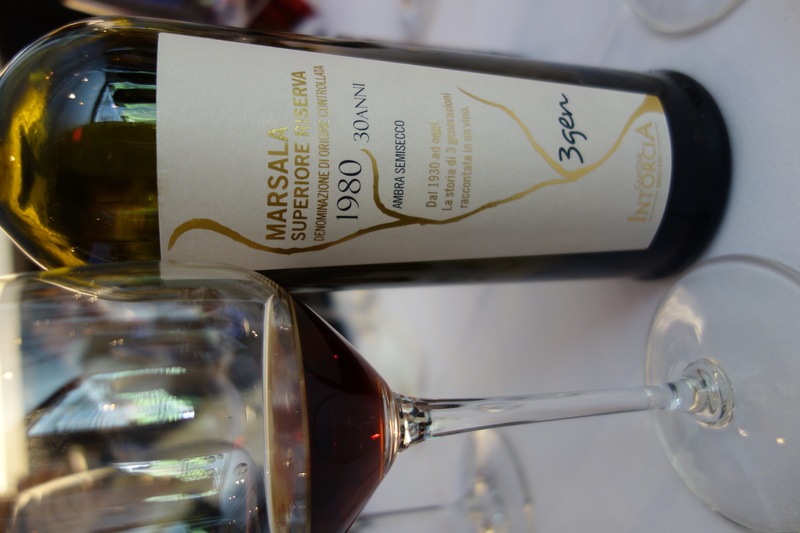 Today there is 1 DOCG wine and 23 DOC wines. 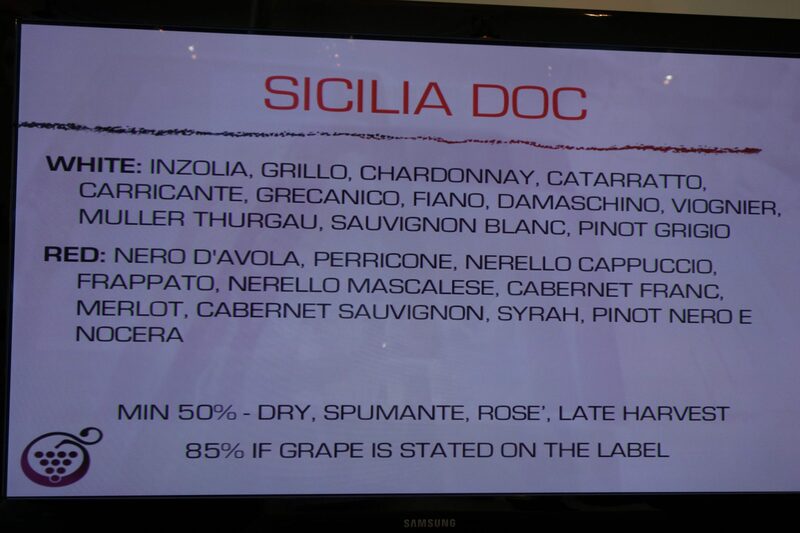 Sicilia itself is a DOC. Harvested early in order to maintain acidity in wine, this wine is young, fresh and crisp. Nice structure, sapidity, straw yellow with green tints, nose of fruit and floral, excellent with seafood! 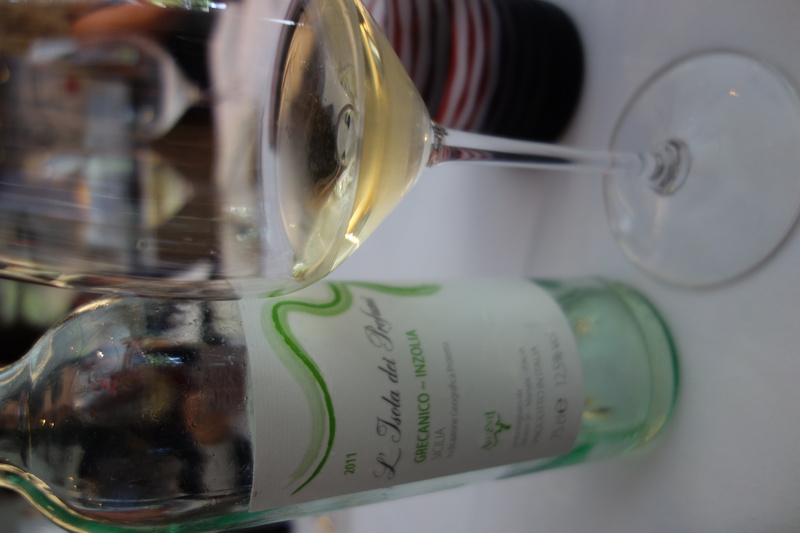 Straw yellow color, the Grecanico offers elegance and sapidity and the Inzolia gives structure and floral notes. Bright and refreshing, this wine has great acidity. 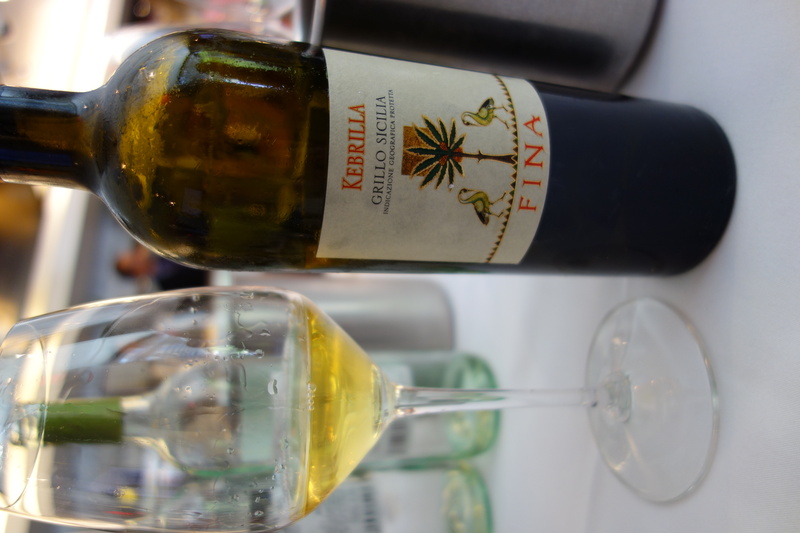 A unique version of Grillo, this wine is partially fermented in French oak and then age additional 4 months. 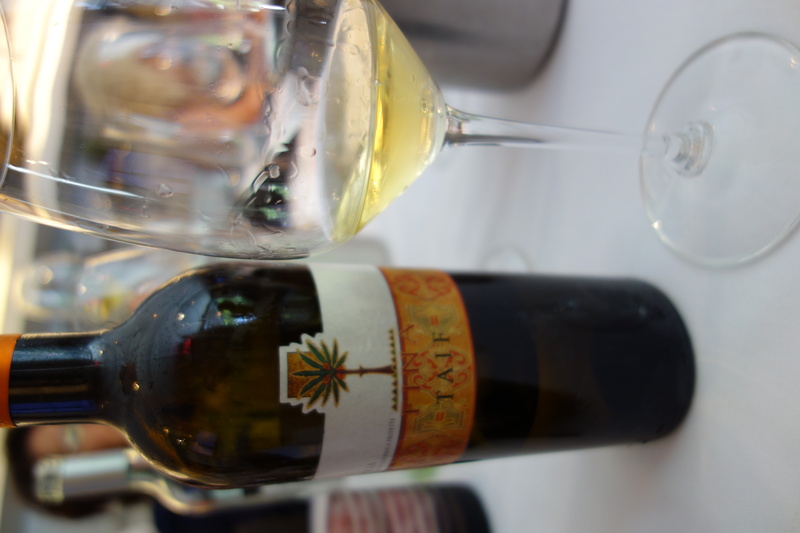 Intense tropical fruit, pineapples, vanilla, sweet spices, orange blossom, great sapidity (the wines are influenced by the nearby ocean) – I want more of this wine!!! 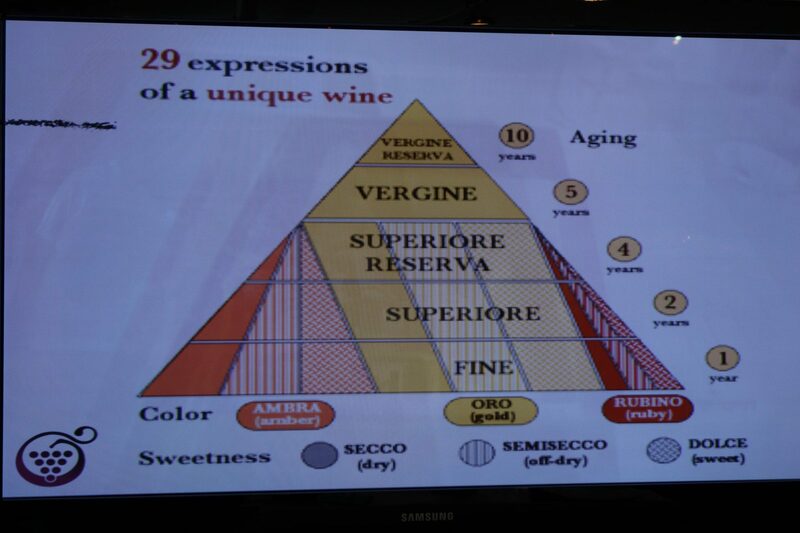 Zibibbo, aka Moscato di Alessandria, Moscatel de Setabal, the name comes from “zibibb” which means dry grapes. Vinified as a dry wine at 13% alcohol, the wine has beautiful aromatics – apricots, lemon zest, tangerine peel, sage, seawater and is smooth, balanced and acidic. 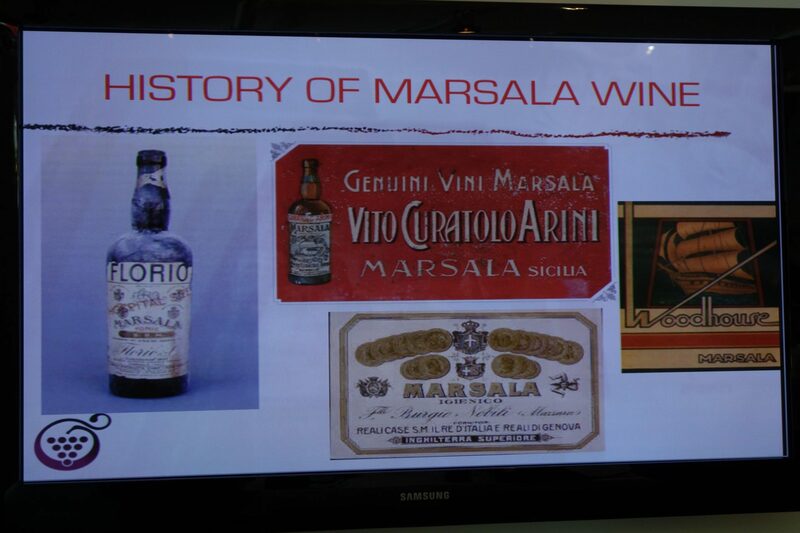 Marsala is the #1 produced DOC wine in Silicila. 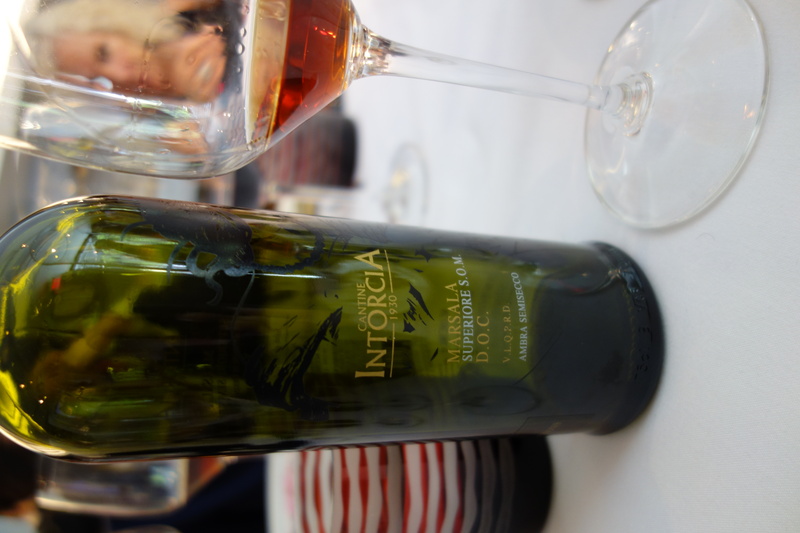 Marsala is a town in the Province of Trapani and the biggest district in Europe for quality wine intensity of vineyards and quantity of production. 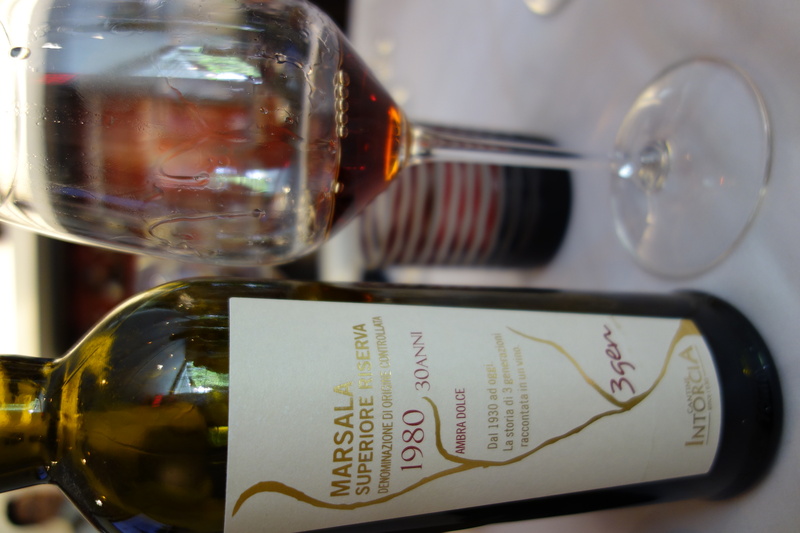 Half of the production of wine in Sicily comes from Marsala, as well as famous foods such as tuna, caperi (capers) in salt brine, couscous and salt. 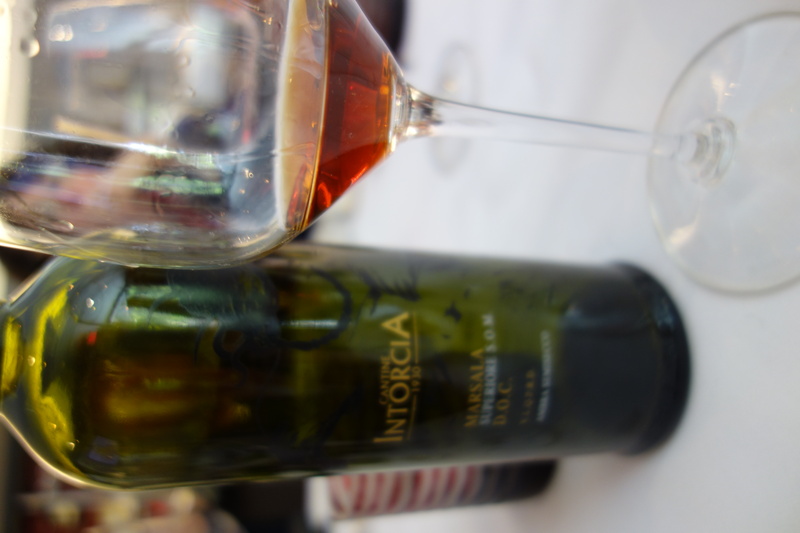 Locally the wine made was called “perpetuum.” – made with local varietals and aged in casks that were never empty because wine was added each year. In 1776, John Woodhouse arrived in Marsala and thought it was similar to sherry so he added a spirit for the trip on the boat. 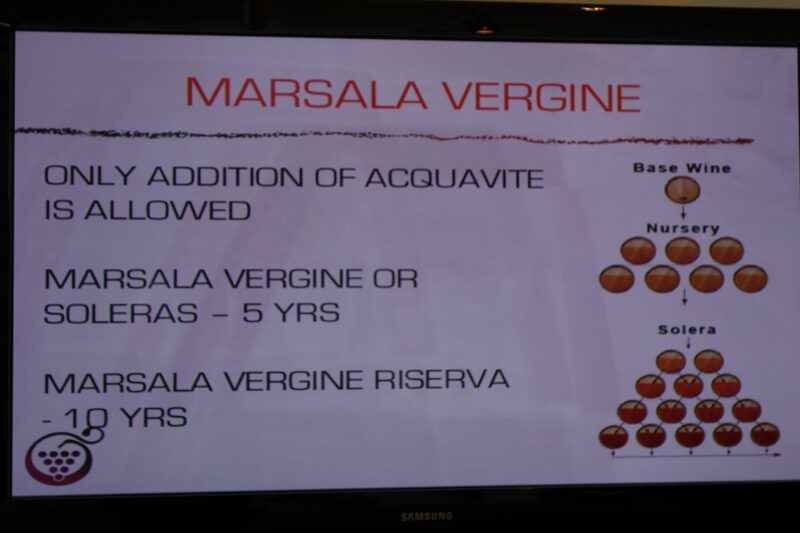 Marsala is classified as either Conciato or Vergine. 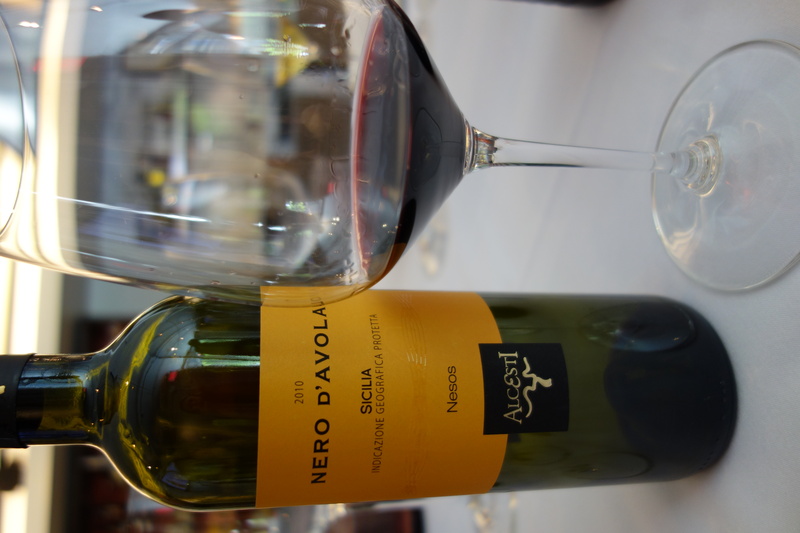 This entry was posted in Wine and tagged Alcesti Nesos 2010 Nero d’Avola, Ansonica, Cantine Mirabella 2001 Grecanico, Catarratto, Conciato, Fina Kebrillla Gilllo 2011, Fino Taif Zibibbo 2011, Grecanico, Grillo, Inzolia, Isola dei Profuni 2011, Italy, Marsala, Marsala IGP, Sicilia, Sicily, Vergine by Allison Levine. 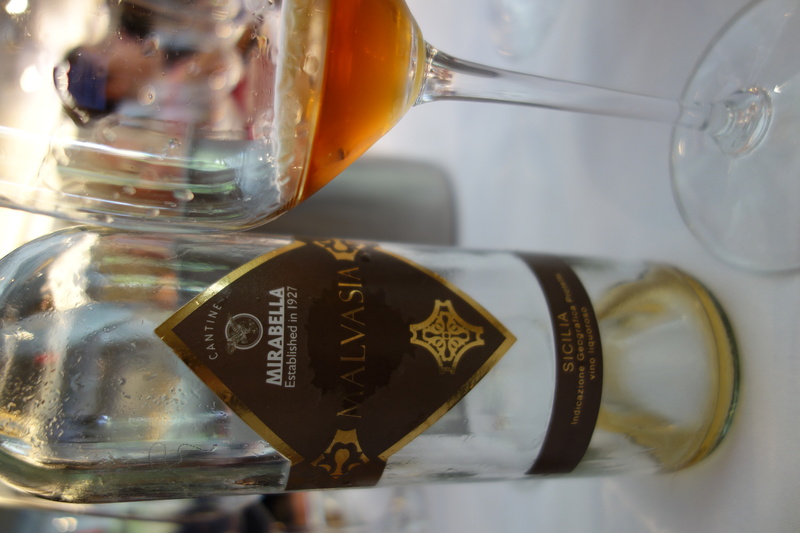 Hi Nicole – Unfortuately, it looks like Cantine Mirabella is not available in the US at the current time.